Saints of the Month: All the volunteers/Goodtimers that helped to make the St. Patrick Day Parade and the Opening Day Parade a huge success. 2019 Jeff Ruby Stakes: This year’s winner is: SomelikeitHotBrown The wind and lightning had him moving fast. Thanks to Pop Scherz. Your team always has your back. 2019 Blue/Grey Soccer Game and Derby Party: Date: May 4th Where: Soccer City, field D. Sarge will be providing tequila shots and margarita’s as this is Cinco de Mayo Eve. Come out and root your favorite players in this classic game. 2019 Rolling Thunder: Date : May 22-27. This is the last year this event will be happening in Washington DC. Mike has some rooms reserved and the club will be presenting the wreath at the Tomb of the Unknown Soldier on Saturday the 25th. Please contact Mike Behr if you are interesting in reserving a room. Perry Park: Date: July 14th-16 – Summer planning well underway in the cold of winter. Remember, it takes a lot of work to have a good time. Deposits are due soon. 2019 Motorcycle Trip to Colorado : Date: August 19, 2019 Where: Colorado We are headed to Pikes Peak, Colorado! Sponsor: Sarge and the crew from the fire pits. Committee meeting April 9th at 7PM, VFW. We would like to thank the Aurora Lions for their continued support with the 911 Steel. The continue to donate to our cause with every event we do with them. Support our Troops – Packing for 10-soldiers on April 8, 2019 at Eli’s in Ross. Still accepting donations, cash for postage and deodorant, hand wipes, shampoo, tooth paste, tooth brushes, hygiene items. If you cannot make it to Eli’s, contact Ren Large (email- Smag55@aol.com, ) and he will make arrangements to pick items up. Foundation: We made a donation to the Great Oaks Scholarship golf outing proposed by Ren at the Board mtg. Queen of Hearts-> Jokers Wild: We will continue with the same board and will now be GoodWill hunting the Joker. Florida Chapter: Any update on the fishing report? Welcome Committee: No new members this month. Pay your dues! AARP Health Report: It saddens me to share that Jerry Kopriwa has passed away. Jerry was beloved member of this club and will greatly missed. FC Cincinnati: MLS is here. Tommy Scherz Jr is working on date for the group to experience Major league Soccer. Winter 2020: W2W ->Winter to Warmth, possibly Key West. PS – Ski Trip deposits are due. Community Rewards: Don’t forget to select the Goodtimers Foundation as your Amazon Smiles Charity, Kroger’s Community Rewards, and use the DONATE button on Facebook to directly donate to the GT Foundation. April Fools Day 1st, World Autism Awareness Day 2nd, Good Friday and the start of the American Revolution 19th, 4/20, Easter 21st, Earth Day 22nd. Saints of the Month: Deron Blaylock and the employees of the Greater “C” Dental Lab for their donations to the Bob Blaylock Memorial Children’s Fund. 2019: Keeneland : Date: April 13th Where: Keeneland The bus is booked and deposit/money is due at the February meeting. Cost is $140 / Couple. If you are unable to make the meeting contact Sponsor : Jason Wullenweber to make sure you are confirmed. This is now open to guest outside of the club. 2019 Blue/Grey Soccer Game and Derby Party: Date: May 4th Where: Soccer City. This is a chance to double down and make back all your losses from the Jeff Ruby Stakes and Keenland. Come out and root your favorite players in this classic game. 2019 Rolling Thunder: Date : May 22-27. This is the last year this event will be happening in Washington DC. Mike has some rooms reserved and the club will be presenting the wreath at the Tomb of the Unknown Soldier on the 25th. Please contact Mike Behr if you are interesting in reserving a room. 2019 3rd Annual Country Music Marathon : Date: Fall Where: The Den: We are dropping Country from the title of this to open it up for more options. This will be moving to a Sunday in the fall, on a weekend the Bengals are not playing. Looking for more committee members and input from all. Scholarship – The 2019 Application is available on the web site. Applications due no later than March 31, 2019. 911Steel.com – Busy month! 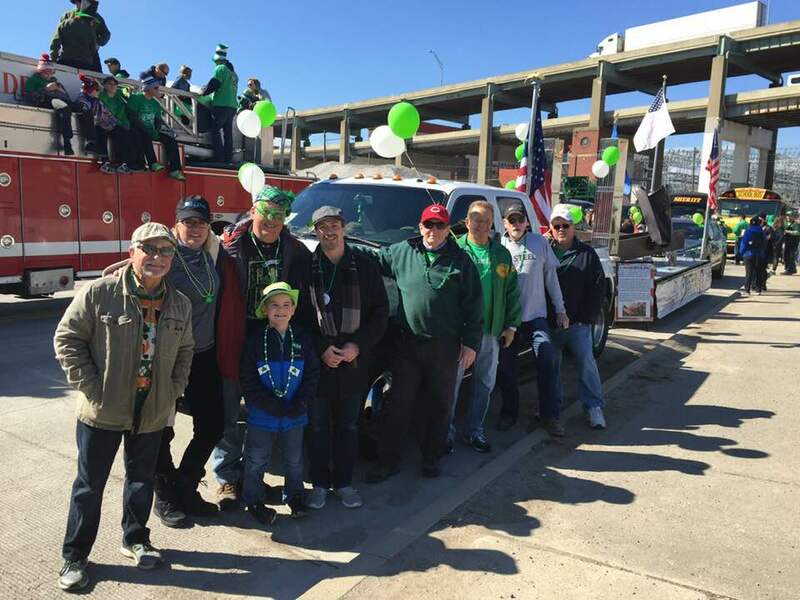 St. Patrick’s day parade (March 16th) and Reds opening day parade (March 28th) Our next committee meeting is March 21, 2019 at 6:30, prior to the Board Meeting. Support our Troops – Packing for 10-soldiers on March 11, 2019 at Eli’s in Ross. Still accepting donations, cash for postage and deodorant, hand wipes, shampoo, tooth paste, tooth brushes, hygiene items. If you cannot make it to Eli’s, contact Ren Large (email- Smag55@aol.com, ) and he will make arrangements to pick items up. 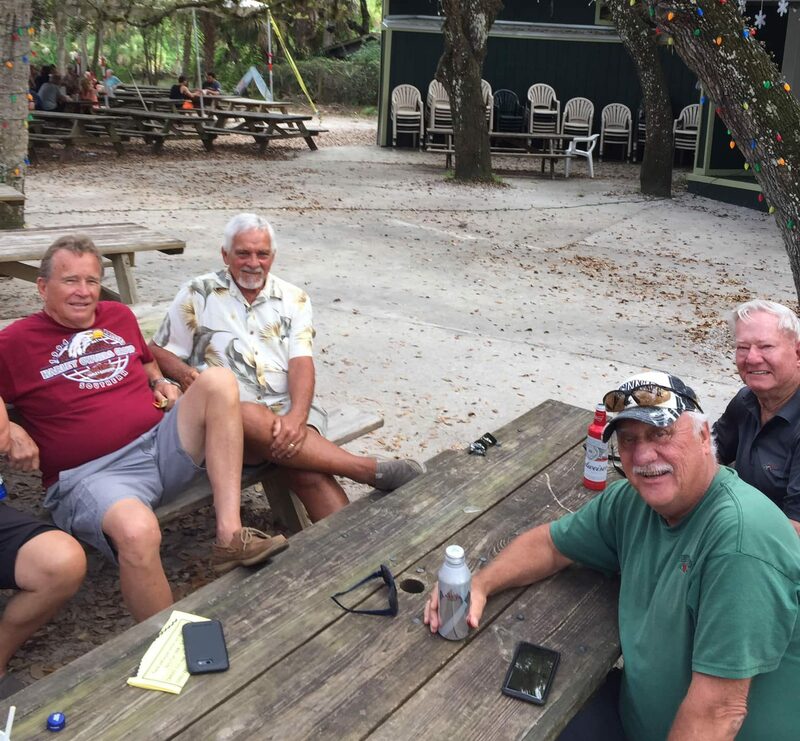 Florida Chapter: The Florida Board Members are busy deciding which drink of the day to endorse? When is the next tee time? Member News: No new member news this month. That is a good sign! That means we are staying healthy. Looking for ideas for a Winter to Warmth trip in 2020. 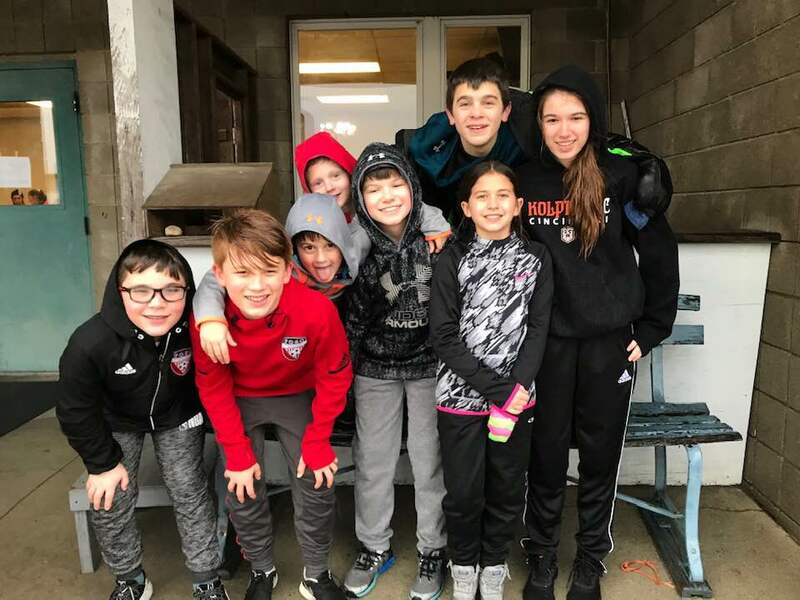 Looking for a sponsor to put together a FC Cincinnati MLS game. Dues are due: Delinquency letters will be coming out soon. Saints of the Month: All those who went out Perfect North Slopes to help the Special Olympic kids have a great day. Tom, Amy, Tracy, Tony, Karen, Paul, Robert and Doug. Also Art and Karen Bowman for all the volunteering they do to help the needy, especially during the Holidays. Buffoon of the month: This went over like a lead balloon. So, I’ll take it this month. 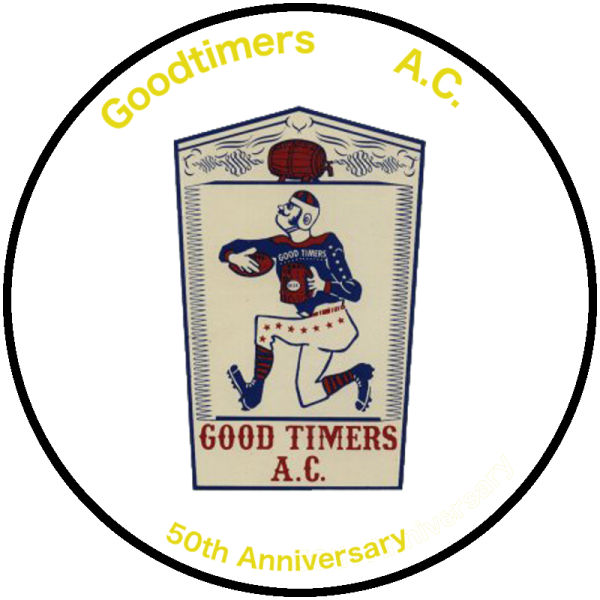 For those newer members who have not spent any time fulfilling the club required 10 years of Goodtimer training, not everything written here is true. New Members…. Where is the ice? 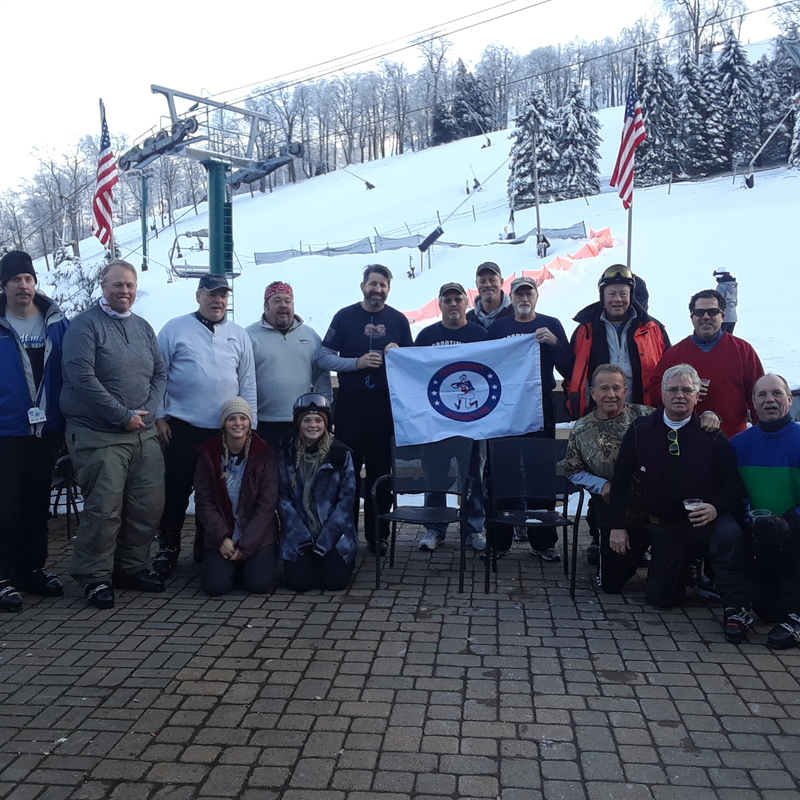 2019 GT Ski Trip : Thank you to Robert Darryl Rudy for putting together yet another fine Ski Trip. This years trip was about Family, skiing and the weather. The weather was the TMF this year. I’ve been back in Texas for a week and I am still cold. Total time spent skiing on Monday by all guest was about 3 hours, wind chill was -20. It was decided that we will continue the tradition, sign up for 2020 at the meeting. Everyone who attended was already a Darryl, so no new baby Darryl. The chairlift for Lost Girl and Gunnar was “closed” – reports were that Tom Koenig was stuck on the lift for 3 hours. We also believe Seven Springs got the message, security was friendly, the food was great again, the average age in the Matterhorn triples when we walked in, and a good time was had by all. 2019 Super Bowl Party : Congratulations to the Patriots and Tom Brady for winning the soccer match, thankfully no extra time was needed. Thanks to all those who came out to Soccer City. And to the Protestants for winning the pick-up game and the Catholics for winning all the square money. We are still looking for Ryan to collect his winnings. Ryan… Ryan? Jeff Ruby Stakes: March 9th at The Backstretch. Post time is 1:10, always good to make a few practice bets before heading to Keeneland. 2019 Curling: Date: TBD Where: Indian Hill Ice Rink. Steve Hamm – Steve club needs an update on if this is happening. 2019: Keeneland : Date: April 13th Where: Keeneland The bus is booked and deposit/money is due at the February meeting. Cost is $140 / Couple. If you are unable to make the meeting contact Sponsor : Jason Wullenweber to make sure you are confirmed. This opens to non-members after the meeting. Blue/Grey Soccer Game and Derby Party: May 4th at Soccer City. This is a chance to double down and make back all your losses from the Jeff Ruby Stakes and Keenland. As Norm always says, bet on black. 2019 Rolling Thunder: May 22-27. This is the last year this event will be happening in Washington DC. Mike has some rooms reserved and the club will be presenting the wreath at the Tomb of the Unknown Soldier on the 25th. Please contact Mike Behr if you are interesting in reserving a room. BreastFest: June 23rd. Sign up if you can help with registration or the ride. After party is out at McDog’s Cafe. Perry Park: July 14th-16 – Summer planning well underway in the cold of winter. Remember, it takes a lot of work to have a good time. Deposits are due soon. 2019 Motorcycle Trip : Date: TBD Where : TBD Sponsor: TBD Ideas have been shared from coast to coast and from the lowest points to the highest points in the country. 2019 Put-In-Bay : August 29th, 2019: Get ready to go back to one of the wildest places in Ohio, not Canada, but Ohio…group looking to head up for a concert to see Kid Rock, Uncle Cracker and The Menu’s. More details are surely to follow. 911Steel.com – Meeting Notification – Feb 14th to discuss obtaining a corporate sponsor. 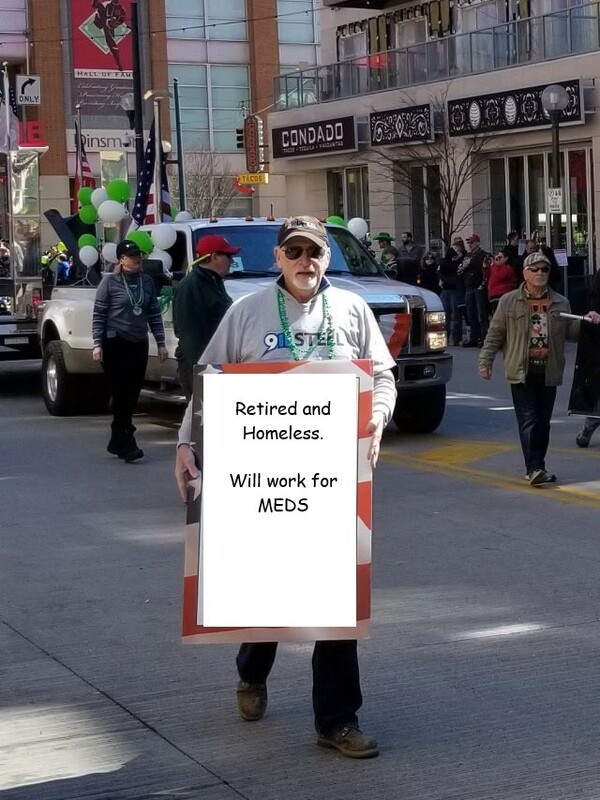 Upcoming events to save the dates for include, St. Patrick’s day parade (March 16th) and Reds opening day parade (March 28th) Check out all the pictures from our events on 911steel.com/events. We are still looking for a trailer sponsor going into next season. Support our Troops – Thanks to everyone who supported the Super Bowl squares. We are still taking donations for the troops. Join us February 11th @ Eli’s to pack boxes for 10 soldiers. Bob Blaylock Children’s Fund – Brief set of notes from the meeting. The group decided that we would focus on small organizations that make a difference. Organizations that were mentioned:Children’s Hospital,Stepping Stones,Santa Maria,Shared Harvest,Children’s Services,Children’s Home of Cinti,Boys Hope-Girls Hope of Cinti,Boys and Girls Club. We will always be looking for individuals that are family and friends of the club that may need assistance. We will be looking for input on who, when and where so if you have ideas please let someone on the board know. We thought schools and police agencies could be a good source. Also, we discussed having a fund raiser specifically for this fund to keep it as an on going practice. Everyone is invited and welcome to come to the next meeting. February 13. Welcome Committee: Please welcome Bryan Click to the club. He has been attending the ski trip for many years and has finally decided to take the plunge. Welcome Bryan, now where did I put the sheep? Foundation: Don’t forget to select the Goodtimers Foundation as your Amazon Smiles Charity, Kroger’s Community Rewards, and use the DONATE button on Facebook to directly donate to the GT Foundation. 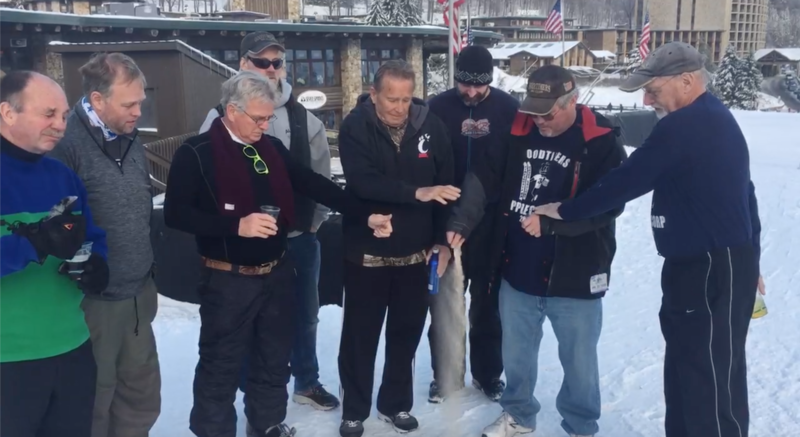 It is with great pride to have been present at the spreading of ashes at Seven Springs. I believe one of the OG12 for Seven Springs, Fred Chasteen. Please take a quick second to remember our friend, who always put a smile on my face, as I am sure he did yours. Celebrity Waitresses: Possible at the March meeting??? Who is in it for the tip? IS IT TRUE? There is a new Seven Springs Diet Plan work out and Cookbook coming to a Blockbuster near you. Published by Mooseknuckle Distributing. Dues are due: Time to start digging through the couch for some quarters. Saints of the Month: Ken Brandt – thanks to all you do for veterans, especially within the dental industry and for founding the No Vet Left Behind organization. Buffoon of the month: Joe Karis for hiring Tom Koenig to DJ the Adult Christmas Party….actually joking here – but my DJ TK would lay down some serious tracks for everyone to have a good time. 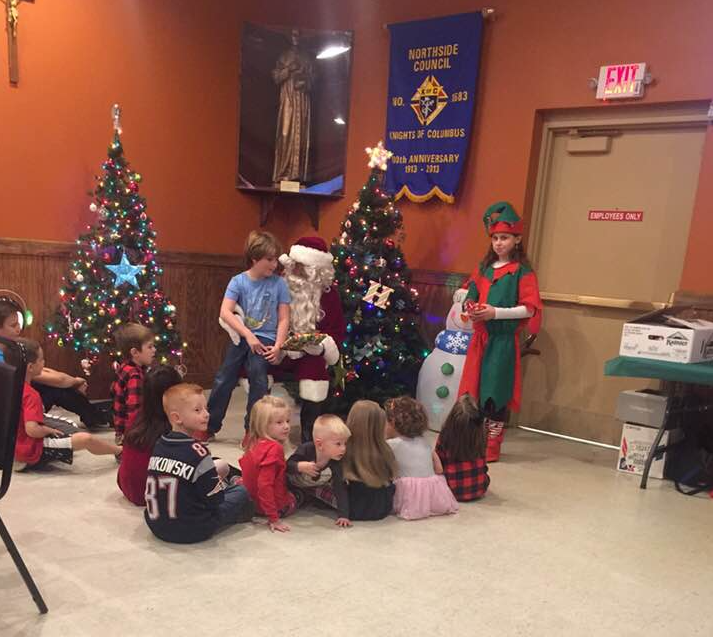 2018 GT Kids Christmas Party: Special Thanks to Santa and Mr. Claus and Elf Eva for making the kids party a good time. And to everyone that helped set up at the KofC. 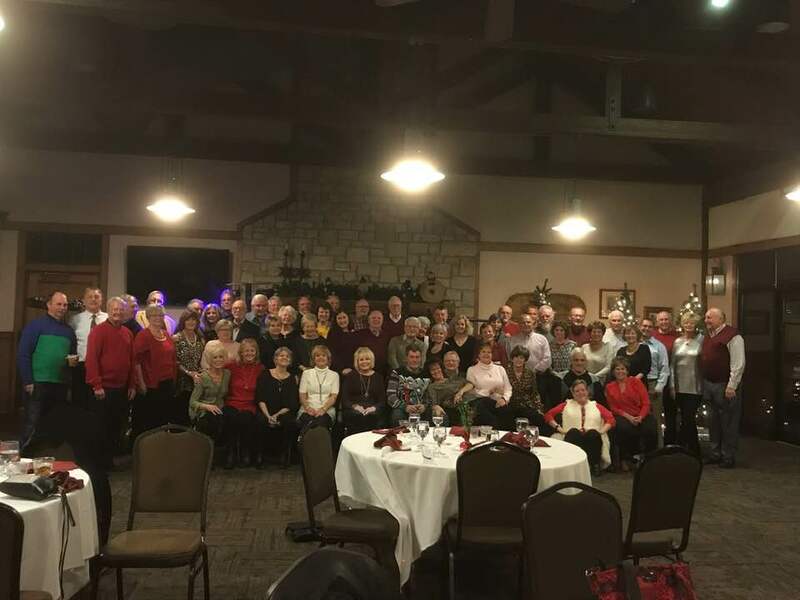 2018 GT Adult Christmas Party: Nothing to say about the wonderful group of people pictured below. Looks like it was a tie for the first place in the ugly sweater competition between, well, everyone. 2018 Christmas Darryling: We welcome a new baby Darryl. He will be known as the Knotty Darryl since Mom had him away from home. Congrats to Gary Weddle on joining the family. 2018 Longhorn Caroling: The remote team had a blast breaking in some Virgin Ho Ho Ho’s in South Texas. It was a full family affair and the group is ready to try some other Goodtimer events. 2019 3rd Annual Country Music Marathon : Date: TBD Where: TBD: There will be a meeting about this event following the board meeting on the 24th of January, should start about 7. 911Steel.com – Upcoming events to save the dates for include, St. Patrick’s day parade and Reds opening day parade Check out all the pictures from our events on 911steel.com/events. We are still looking for a trailer sponsor going into next season. Bob Blaylock Children’s Fund – We are excited to announce our latest addition to the Goodtimer’s Foundation. The Blaylock family has donated over $6000 to be used to support any children’s causes. We will have our first organizational meeting on Thursday, Jan 17th at the VFW. Looking for volunteers to help lead this portion of the club. Don’t forget to select the Goodtimers Foundation as your Amazon Smiles Charity, Kroger’s Community Rewards, and use the DONATE button on Facebook to directly donate to the GT Foundation. Prayers to Jerry and Kari Kopriwa who both are having some health issues and could use some Goodtimers Luck and prayers. 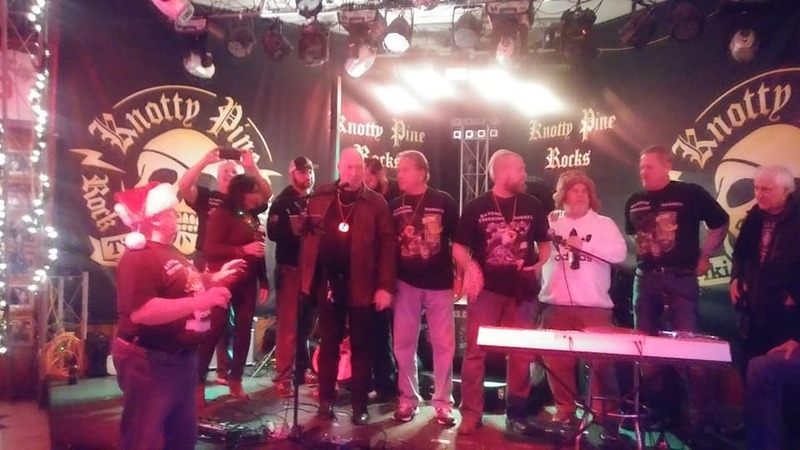 2018 SOT Quaker Steak Fundraiser: Thank you to everyone that showed up. We had a great crowd and a special appearance of the Carlson Family from the Longhorn Chapter. 2018 GT Day After Thanksgiving Catholics vs. Protestant Golf Outing: Not sure who won it, but the Scherz family sent their ringers to improve their handicap. Everyone gets a drink! Boots for Beats Fundraiser: Did you know that Dancing Behr can line dance, too? Amazing support for JT and CHD awareness. Thank you. 2018 Christmas Darryling: Date: December 20th Where: Knotty Pine: Ring out the church bells, strike up the band, Christmas is near. Same rules as always, if you don’t show up to sing, your may be visited by the choir. Queen of Hearts – Ren Large won last month. We will continue with the same board but will now be hunting for the Joker. Joker’s Wild! 911Steel.com – Great season. Check out all the pictures from our events on 911steel.com/events. We are looking for a trailer sponsor going into next season. Christmas Toy Drive – David Lodder is still taking drop offs at Daves Drop Box, 2345 Millville Ave. Hamilton at Lodder’s plaza. It’s on the front sidewalk of the building facing the road. To the left of Happy Hour House. He still needs coats and hoodies, toys, and stuff. We are also working in Santa’s Workshop on Saturday mornings. Tim Burke has a 2003 HD v-rod up for sale . Runs like a cream puff, See Tim for details. Tom Koenig is still fighting off infections and staying with family. National Ninja Day-5th, Pearl Harbor Day-7th, US National Guard Birthday-13th, Christmas – 25th, and National Bacon Day- 30th. 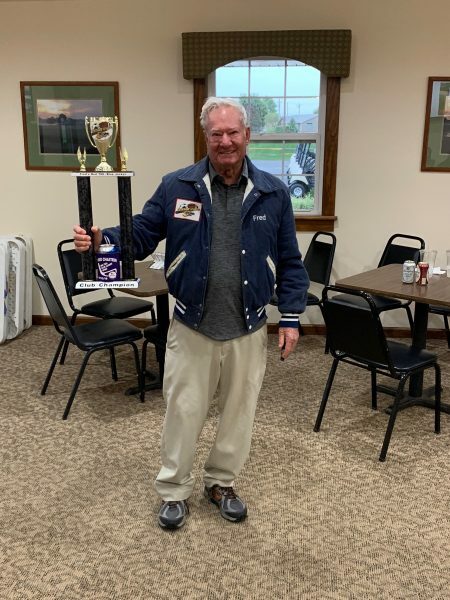 2018 GT Fred Tee Open: Barry won with a 75. The club is instituting a new golf handicapping system as members are starting to shoot lower than their age. Take your age, subtract it from Norm’s score (99), divide by 1, multiply by 1 and then add your age. This is your new score. Congrats Barry! 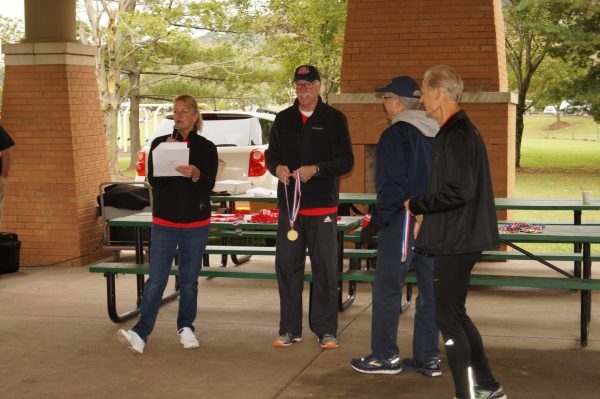 2018 Cincinnati Dental Society 5k Walk/ Run “ Leave no Vet Behind” It’s always good to get out in support all of our Vets. No world records were set, but in the side race between John John and Abraham Kiptum, John John turned on the afterburners and was able to hold off the end push by Abraham, claiming the victory. Thanks to all in attendance, to the Dental Society and to Ken Brandt for sponsoring. 2018 Cinti fire dept/ 2nd street saloon pub crawl: 911Steel was on full display and looked great in the night lights, especially as certain members were shooting Fireball’s. Special thanks to all who came out to support the MDA and the Fill the Boot drive. 2018 GT Golden Ball : What else can you say about this club? 50 years young and still showing off. A huge thanks to everyone who came out. Kathy “hippy” Gambil represented all those who used to hang around the fire pit when the meetings were at the Grove and won the best dressed female. In true hippy fashion, she shared her prize with everyone. Tom “Elvis” Ashpaw left the building with the win for best dressed male. In the dance competition, Tim and Marty Burke, won by a slight margin to Arnie and Kathy Ashpaw. I’ve heard it my whole life and said it many times…A GOODTIME WAS HAD BY ALL. VFW Turkey Shoots Date: Starts September 30th Time: 9:00 AM . Where : VFW on Brownsway. First shot at 10am . The date seems wrong on this, but I couldn’t find anything on any website. Lasts as long as people want to shoot. Kids are welcome to come dodge bullets and collect targets. December 1st Fundraiser: Hold the date, December 1st at Jim and Jacks. Benefit for Debbie Christman’s great nephew, he’s 5 years old and needs a heart and lung transplant. We’ve stepped up before and let’s do it even better than before, do your best to attend. They are also looking for donations of raffle items and some bottles for the Barrel of Cheer. Mike will be sending out more details in e-mail. Christmas Caroling: December 20th: Ring out the church bells, strike up the band, Christmas is near. Same rules as always, if you don’t show up to sing, your may be visited by the choir. Don’t forget to select the Goodtimers Foundation as your Amazon Smiles Charity and Kroger’s Community Rewards. Tom Koenig was in the hospital recently, but they had a hard time finding him a roommate, so they sent him home. He’s currently staying with Amy, give him a call or I’m sure he would love a text. Tom, hope you are doing well and this put’s a small smile on your face, as it did mine. Saint of the Month: We would like to recognize the nursing staff at Jewish Hospital as our Saints of the Month for taking care of a certain Goodtimer. 2018 GT Scholarship Golf : It was a very successful event. Special thanks to Sarge, Pops, and Mike for keeping us organized. Congratulations to Deron Blaylock for winning the 2018 GT Scholarship Open. 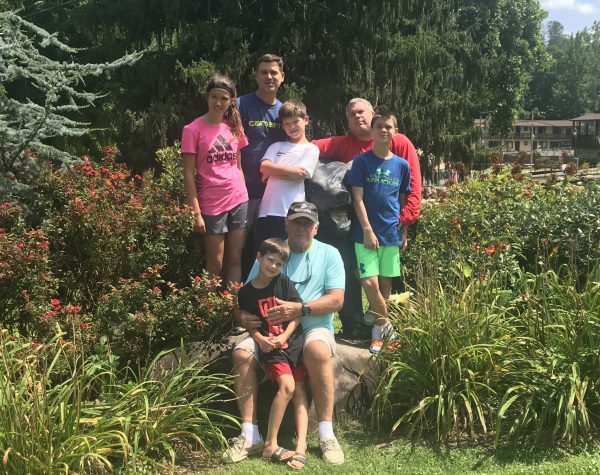 2018 GT50 Family Picnic : We celebrated our 50th Anniversary this month with a family picnic in Colerain township. Carol Chasteen and Jerry Gambil always have the best gear. And congrats to Ida for winning the chipping contest. A great time was had by all. 2018 GT Briteleaf golf trip: Shout out to Bobby Fristoe “Man with a Plan” for organizing the festivities. Some prize money was donated to GT Support the Troops. Beer consumption was down but Ky. Bourbon and Rum consumption was positive. Great time was had by all. 2018 GT Fred Tee Open: Date: October 12th , Time: 11am , Where: Circling Hill’s – This is our annual club championship . Stroke play. Sign up at meeting and try your luck at winning the corduroy jacket. Contact Mike Behr for foursome . 2018 SOT Quaker Steak Fundraiser: When: November 21st , Where: Quaker Steak and Lube : Stop in for lunch or dinner . Make sure to tell your waiter or waitress that you are with Goodtimers and they will donate 20% of bill to our Support the troops fund. Monies are used to provide shipping for the gift boxes we send to active duty soldiers over seas. Scholarship – Thanks to everyone who helped with the golf outing. Foundation – Don’t forget to select the Goodtimers Foundation as your Amazon Smiles Charity. Saint of the Month: This month we would like to recognize Denny Huxel as our saint of the month . 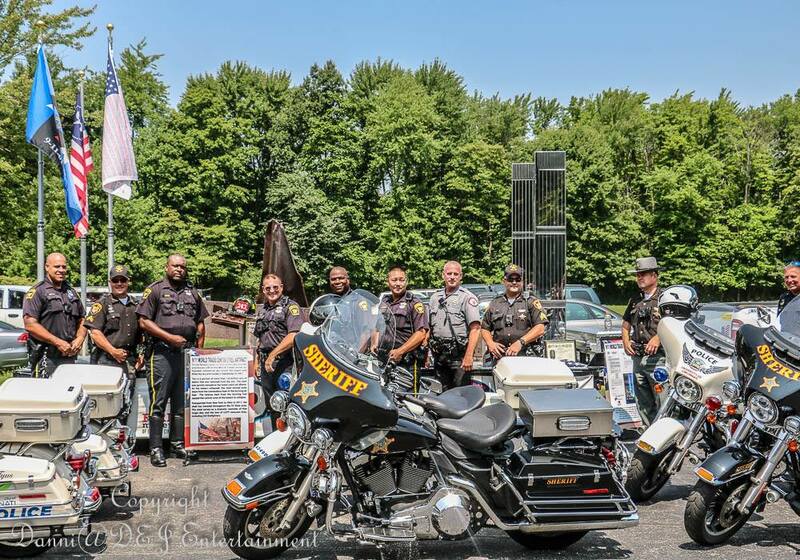 Denny has donated a tremendous amount of time to both 911 Steel as well as The Freedom ride and other Goodtimers events. Many thanks for all that you do Denny! 2018 Support our troops fundraiser: When: November 21st , Where: Quaker Steak and Lube : Stop in for lunch or dinner . Make sure to tell your waiter or waitress that you are with Goodtimers and they will donate 20% of bill to our Support the troops fund. Monies are used to provide shipping for the gift boxes we send to active duty soldiers over seas. Scholarship – See every one at the Golf Outing on Friday, September 7th. 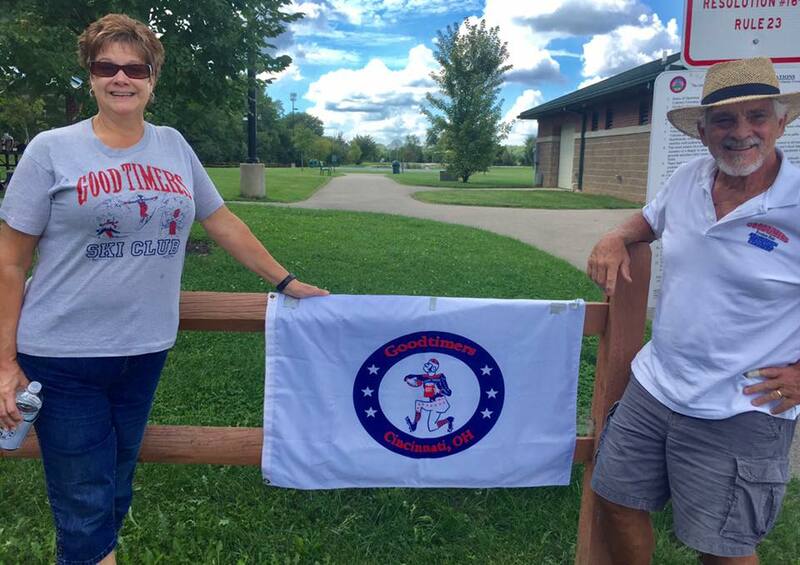 Saint of the Month: This month we would like to recognize all the Goodtimers who donate their time to help make this club the great club that it is. We appreciate all that you do. 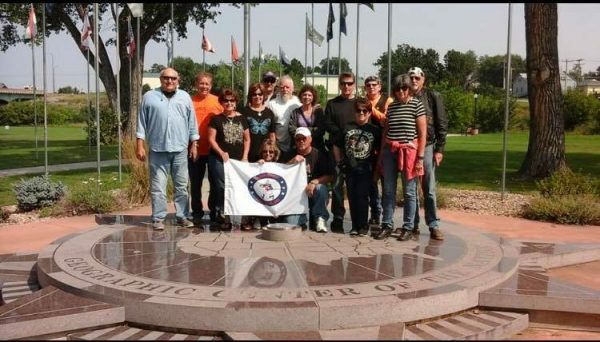 2018 GT trip to North Dakota: Date: August 20-29 : Some are riding and some are flying out west to visit the only state Al Rudy did not visit . Some very special activities are planned . Robert and Sarge to report at meeting . Sign up at meeting. We are going to have a planning meeting on August 13 @ Soccer City.Sponsor : Robert Rudy and Sarge.